KEH Camera is known as the world's largest pre-owned camera store. Maybe you’ve wondered how we acquire all of our inventory? We're glad you asked! There are a few ways you can sell us your camera gear: via our online quote wizard, email, or our buying events. We’ve been forming partnerships with countless camera shops across the nation since 1979. Our road buyers travel to these destinations to host buying events for the local community. 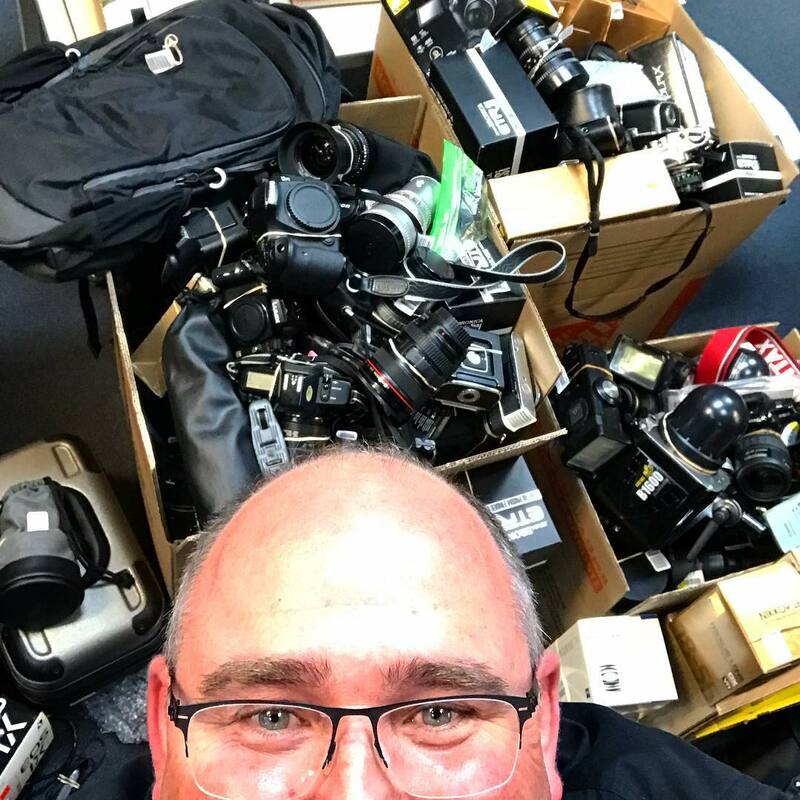 Local buying events are a convenient way for you to sell your gear in-person, get cash on-the-spot, and shop your favorite camera store - in one trip! Brent showing off the awesome gear bought in Calgary, AB Canada. During these events, we generally have a table set up in the camera shop. 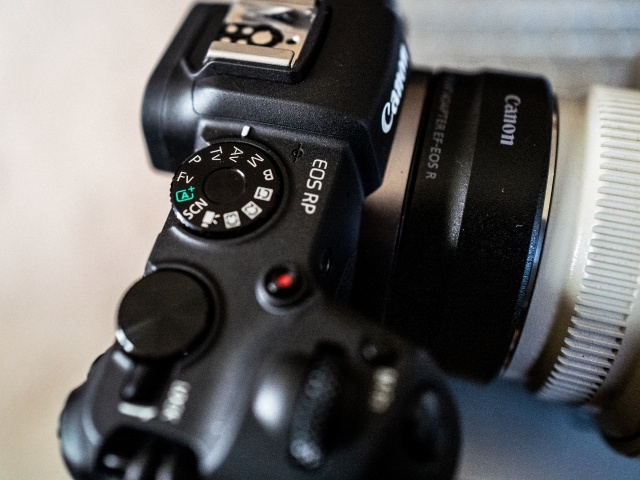 When a customer brings in their photo gear to sale, our road buyer will do an evaluation of the equipment and provide an offer on-the-spot for the pre-owned photo equipment. If accepted, customers walk away with a check in-hand! 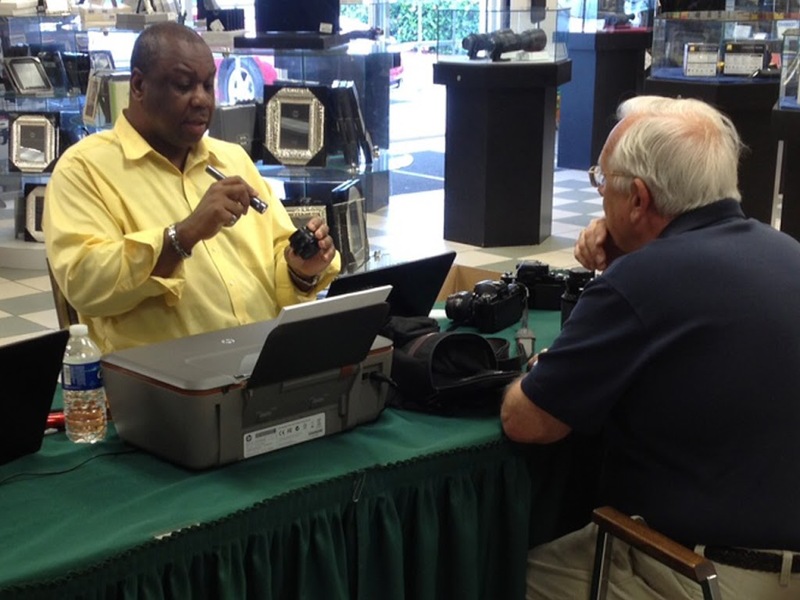 Our road buyer, Everett, at a camera shop hosted buying event. Attending a buying event is a great way to sell your used equipment without the hassle of selling it online. 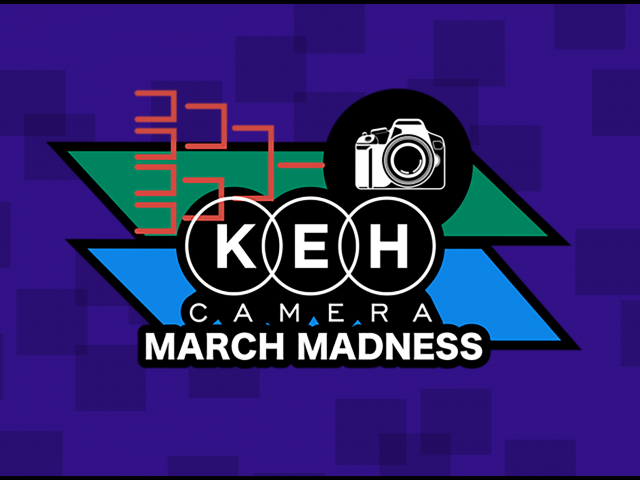 The camera shop will oftentimes offer a trade-in reward, meaning, if you decide to receive store credit at a hosted event instead of a check from KEH, you will receive a bonus amount added to the price we pay for your used gear in the form of store credit at the shop. If your local camera shop is hosting a KEH buying event, all you need to do is bring in the camera gear you have for sale and a valid ID. KEH will handle the rest! Since our buying events are popular, there may be a wait from time-to-time to see our road buyer. Sometimes to alleviate the wait, we offer an appointment-only day, typically the day before the advertised buying event days. We recommend checking with your local camera shop before an advertised event to see if they are offering an appointment-only day. They will be happy to schedule a meeting with a KEH road buyer. 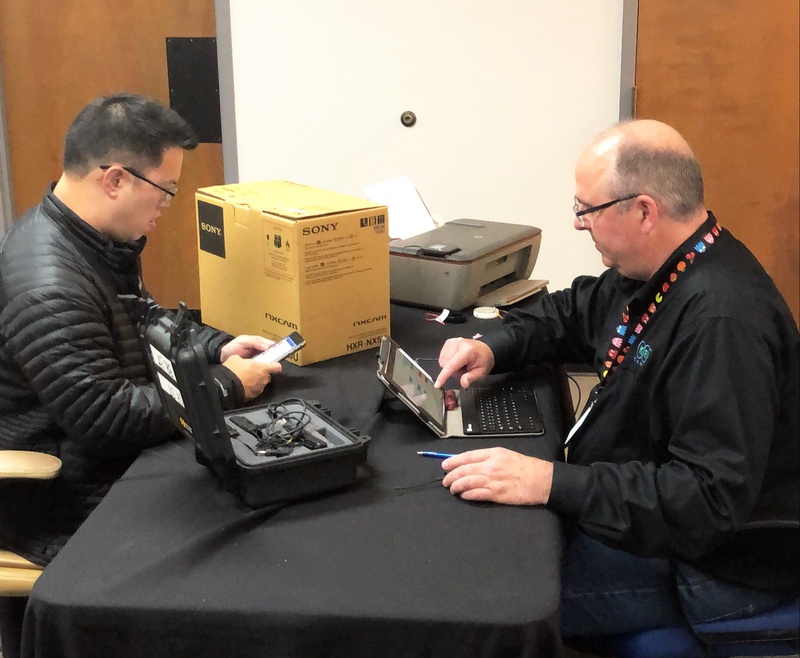 Brent buying equipment at a KEH in-house buying event. 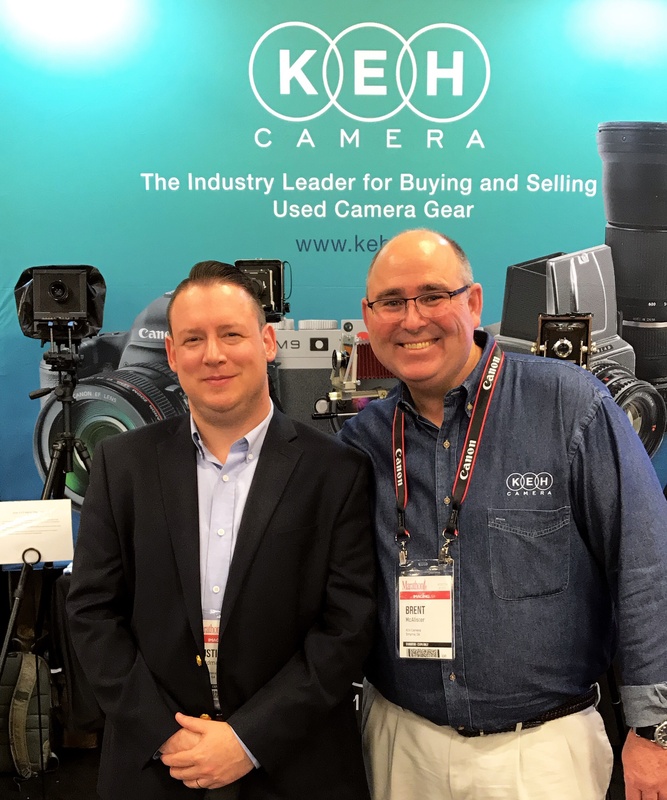 In addition to camera shops hosting buying events, our KEH Camera road buyers attend many different industry related events. 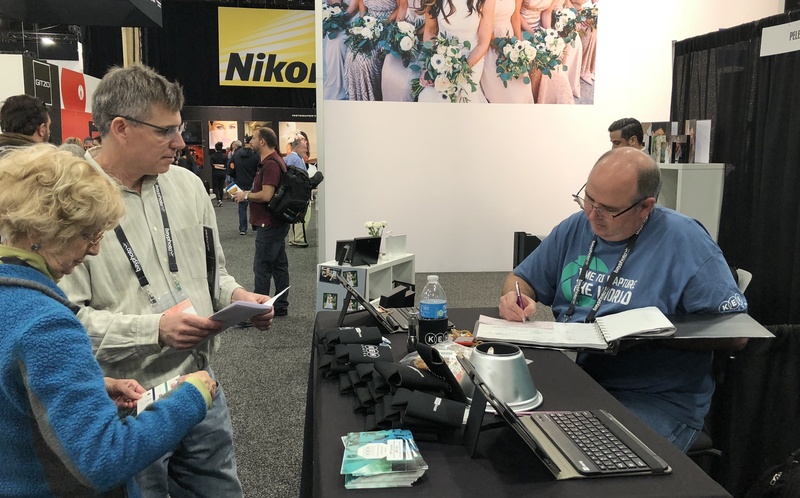 We are present at annual photo conventions such as WPPI and Imaging USA, as well as many other photography-related shows throughout the year. Some conventions may be open to members only or require a registration fee, trade shows are almost always open to the public. One of our buyers, Brent, purchasing gear from customers at WPPI in Las Vegas. 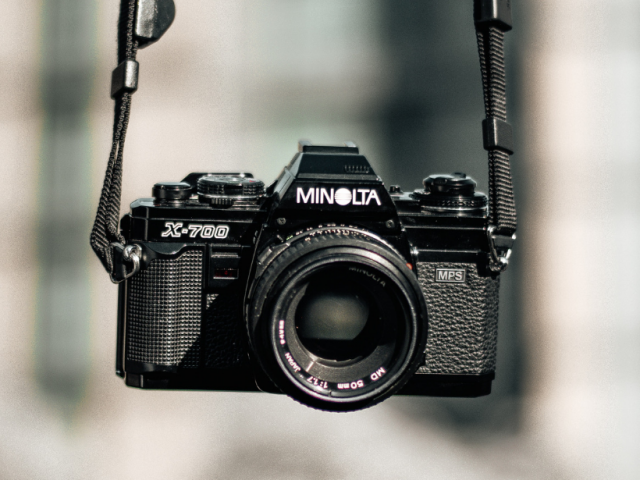 Our road buyers also frequent other photography-related events, conventions, and camera club meetings in search of used photographic equipment. Sometimes we even host buying events at local hotels in an area we will be visiting. KEH-hosted events are always free, unless otherwise noted, and open to the public. Our goal is to reach as many people as possible, and make it as convenient as we can for you to sell your gear. Our Director of Corporate Purchasing, Justin, and road buyer, Brent, at this year’s Imaging USA conference in Nashville,TN. The best way to receive updates is to subscribe to our email list. Be sure to share your location details with us, so we can send you the buying events in your area. Our buying event schedule can be found on our website here, and on our blog KEH Spotlight, here. Our buying events are also available on our Facebook Events page located here. You do not need to be a Facebook member, or even logged into Facebook, to view the main page listing for our events. Since 1979, we have earned the trust of customers worldwide by paying top market value for clean, used camera gear. We hope you will stop by and see us the next time we are visiting a town near you!